Summer romance is in the air, and what better place to soak it in than Sandestin Resort in Miramar Beach, FL! The Sandestin private resort community offers vacations to fit the needs of young lovers or seasoned twosomes. Relax and unwind with luxurious lodging, delectable seafood dining, and romantic outings guaranteed to ignite the passion in your relationship. Let TripShock.com help plan a getaway with romantic ideas for your stay in Sandestin! Cruise the Choctawhatchee Bay in style on a Fine Dining Dinner Cruise departing from the Sandestin Resort Marina. This is an upscale dining cruise, with a ritzy atmosphere fitting for a romantic evening. Enjoy a large selection of surf and turf entrees as part of a memorable 3-course meal complete with live music and fully stocked bar. Arrive early for cocktails, and between meals head up to the observation deck for stunning views of the waters and shoreline! Book the Sandestin Fine Dining Dinner Cruise online for guaranteed seating and the lowest ticket prices. There's nothing like a beautiful scenic view to bring out the fuzzy feelings. 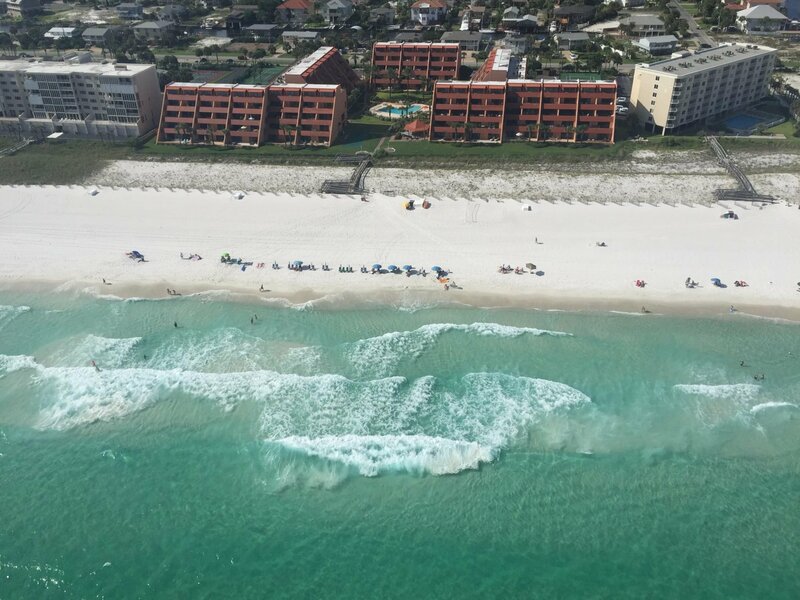 Destin Helicopter Beach Tours are an exciting way to "heighten" the passion, with 6 tours to choose from ranging from a 5-mile ride to a 40-mile adventure! Destin Helicopter Tours are navigated by professional and experienced pilots, and stay along the coastline, giving a firsthand view of the emerald waters and white sand beaches of the Emerald Coast. Wedding and Vow Renewal Tours are now available, so don't hesitate to say "I DO" to one of these once-in-a-lifetime trips! Reserve a seat on a Destin Helicopter Tour today!